I love mushrooms. I’ll eat them cooked, raw, on salads, in lasagnas and even as a meat substitute for a burger. (I’ll eat them in a box. I’ll eat them with a fox. I’ll eat them in a tree. They are so good, you see. I do so love green eggs and ‘shrooms. I do so love them, Sam-I-Am, er Oom.) But I’m a weirdo, in more ways that one, and I understand that many people do not share my adoration of spongy fungi. Mushrooms are one of the best foods you can eat… when it comes to your health. When it comes to taste, they’re another story. Fortunately, science may have found the perfect way for you to have your mushroom-cake and eat it, too. But no matter how much you may detest them — recent surveys show them as either the third or eighth most-hated food in America — you can’t deny their health benefits. Research has found that eating the fungus among us boosts your immune system, lowers heart disease risk, protects against cancer, keeps your blood sugar in check and wards off diabetes, improves your mood, helps with some mental illnesses, and can even help you lose weight. And that’s just the tip of the (slightly squishy, chewy, slimy) iceberg. Unfortunately, it’s that strange texture that puts most people off of nature’s homegrown medicine. But now some genius people have come up with a solution to that problem by drying and powdering button mushrooms along with reishi, portabellas, hen of the woods, turkey tail, shiitake, crimini, trumpet and other exotic varieties. The powder, said to be nearly tasteless, can then be easily mixed into other foods. Best of both worlds? Maybe. There’s nothing about the drying process that reduces the potency or bioavailability of the nutrients, according to the USDA, and it may even be beneficial by concentrating them. For instance, fresh mushrooms have 4 IUs of vitamin D per serving, but dried have 26 IUs. Plus, people have been drying them and using them in native cuisines for millennia to add a savory, umami flavor to all kinds of dishes. Modern mushroom powders, however, come in a wide variety of types, some better than others. Although you certainly can buy plain dried and powdered mushrooms (or make your own), many of the powders being touted on social media as health and beauty aids contain extra ingredients. Although that’s not necessarily a bad thing, it does mean you have to be more vigilant about reading labels. This energy mix by OM Mushrooms, for example, contains 90 mg of caffeine, which could be a problem for people who are caffeine sensitive. And, as is the case with any supplement, you have to remember there is no official oversight of the product, so you’re basically taking the manufacturer’s word that what they say is in there is actually in there. The research shows many supplement companies are notoriously dishonest. Another issue with the new mushroom powders is all of the amazing health claims they make. Companies promise things such as mental clarity, faster recovery from your workouts, more energy and even curative properties for serious illnesses. Are these things true? Who knows! 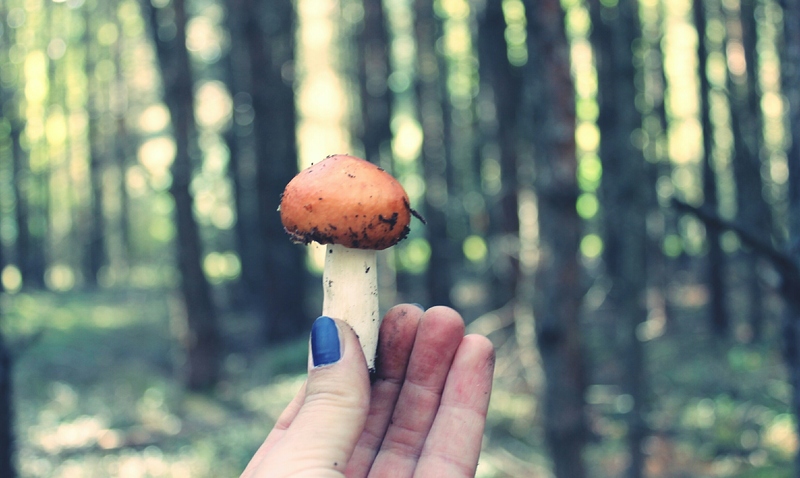 Mushrooms are great for lots of things, but the research just isn’t there to support all these claims, especially those for rare or specialty types of mushrooms. They may indeed be the health miracle science has been searching for, but, more likely, they’re probably just a really healthy food. In the end, as long as you stick to nonpoisonous, well-cleaned varieties, you can’t go wrong eating mushrooms (unless you have gout or are prone to kidney stones or are allergic). And if eating them powdered encourages you to get more of this superfood in your diet and you can afford the supplements, then cool. Just make sure you’ve got realistic expectations, and read all the labels!